Michael Corleone, Don Vito's third and youngest son, is the central character of the "Godfather" saga. When he first appears in "The Godfather, Part I," he's wearing his military uniform, having just returned from serving in the Marines during World War II. It's clear by just looking at him that he's different from his family. He's clean-cut and soft-spoken. He doesn't swagger, and he doesn't wear his hair greased back. In a sea of loud and boisterous relatives, he's a quiet observer on the sidelines. His girlfriend Kay (played by Diane Keaton), whom he met in New Hampshire while attending Dartmouth, is blond, modest, and too naïve to know that she shouldn't ask questions about the Corleones. The mere fact that he's chosen such a person shows how out of sync he is with his relatives. Michael's family loves him, but they make it clear that they don't think he's suited for the family business. Don Corleone's refusal to help a drug dealer named Virgil "the Turk" Sollozzo triggers a hit on the Don. He's shot on the street outside his olive-oil importing company, then rushed to the hospital in critical condition, his chances of survival uncertain. 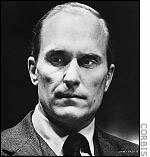 His hot-headed oldest son Sonny (played by James Caan) vows immediate retaliation, but family consigliere and adopted Corleone brother Tom Hagen (played by Robert Duvall) convinces him to stop and think the situation through the way their father would. Sonny, Tom and the family's top capos weigh their options and ultimately decide that Sollozzo must be taken down. The question is, how? Sollozzo has a corrupt police captain named McCluskey (played by Sterling Hayden) acting as his personal bodyguard. To kill Sollozzo, the Corleones will have to kill McCluskey, too, and killing a cop is a grave violation of the Mafia code because the police will inevitably crack down on all the mob families in the city. As the Corleone hierarchy tries to figure out how best to accomplish this hit, Michael steps in and offers to help. Sonny hugs him but laughs at the suggestion, saying that this won't be the kind of long-range killing Michael saw during the war. This hit will have to be done up close, looking the victims right in the eye. But Michael persists and makes his case. He would be the best one for the job because no one would suspect the youngest brother who doesn't work for the family. The others see his point, and so it's decided that Michael will be the assassin. Capo Pete Clemenza (played by Richard Castellano) tutors Michael in how to do the job and assures him that a gun will be waiting for him behind the toilet in the men's room of the restaurant where he will meet Sollozzo and McCluskey. The set-up is similar to one of the most significant incidents in the history of the American Mafia. In the 1920s, the Mafia families in New York were ruled by greedy men from Sicily who mistreated the men who made them rich. The younger gangsters called the old-timers "Moustache Petes" for their hard-headed, old-fashioned ways. One of the most powerful of the Moustache Petes was Giuseppe "Joe the Boss" Masseria, whose right-hand man was Charles "Lucky" Luciano. Though officially aligned with Masseria's family, Luciano secretly belonged to a group of young Turks from all the New York families who wanted to overthrow the backward-thinking Mustache Petes so that they could take over and expand the Mafia's rackets. On April 15, 1931, Luciano lured Masseria to a restaurant in Coney Island called Nuova Villa Tammaro where the two men enjoyed a leisurely meal, then settled in for a game of cards. At around 3:30 p.m., Luciano, like Michael Corleone, excused himself to go to the bathroom. But instead of coming out with a gun in his hand, Luciano waited for the sound of gunfire out in the dining room. While he waited in the men's room, four young Turks entered the restaurant, pulled their guns, and started shooting. 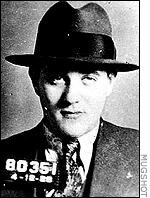 The assassins were Vito Genovese, Joe Adonis, Albert Anastasia, and Bugsy Siegel. Siegel's inclusion was a clear sign that the younger generation wanted to include other ethnic criminals in their enterprises, something that the Moustache Petes would never consider. The old Sicilians wouldn't even allow non-Sicilian Italians into their ranks. In "The Godfather, Part I," Michael Corleone does the shooting himself, taking out Sollozzo and McCluskey from across the table, but the image of gun smoke swirling over red-and-white checkered tablecloths resonates closely with the particulars of the murder of "Joe the Boss" Masseria. No single real-life mobster served as a model for Michael Corleone, but author Mario Puzo was likely thinking of Vito Genovese when he had Michael fleeing to Sicily in the wake of the double rubout of Sollozzo and McCluskey. 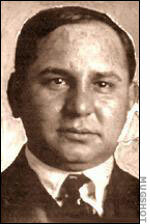 Genovese fled to Italy to escape murder charges in 1937 and stayed there until after the war. While there, he ingratiated himself with the U.S. Army's intelligence service, helping them break up black-market operations in southern Italy (which he then secretly took over for himself). In thanks for his help, the American government arranged to have the murder charge against him dropped, allowing him to return to the States. In "The Godfather, Part II," Michael, now firmly ensconced as head of the Corleone empire, seeks out legitimate enterprises. As part of his reorganization plan, he moves the family compound from New York to Nevada. 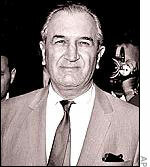 In the 1960s, Joseph Bonanno, boss of the New York family that bears his name, set up shop in Arizona where he sought to expand his rackets into virgin Western territories. Bonanno, like Michael Corleone, also invested heavily in gambling casinos in pre-Castro Cuba. "An Offer He Couldn't Refuse"